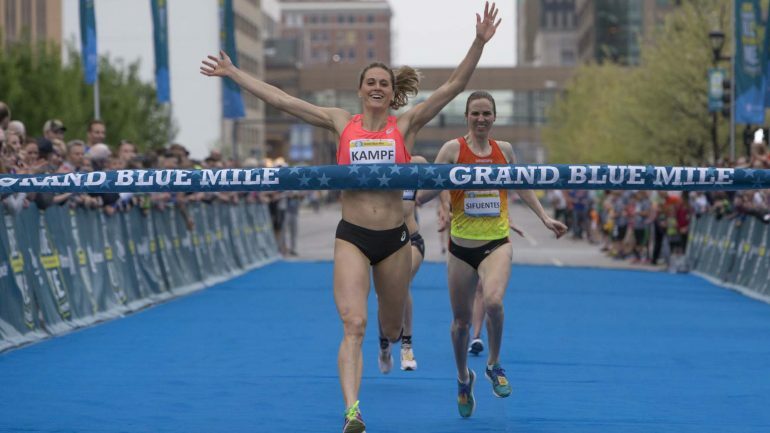 Carrie goes for a run with Queen of the Road Mile, Heather Kampf! Heather discusses the frustrations and challenges of dealing with injuries and how she’s easing back into running. She also talks about her 2018 racing plans, and her aspirations after the sport. Heather is a 2005 graduate of Rosemount High School in Minnesota where her prep career included state titles in the 800m and 400m. At the University of Minnesota, Heather was the highest decorated Gopher women’s track athlete. She was a 9-time All American, NCAA champion, and the only Gopher to compete in every NCAA championship in cross country, indoor track, and outdoor track during the time she attended the university. Heather joined Team USA Minnesota in December of 2009, was sponsored by Asics America in 2010, and became a Nuun elite ambassador in 2014. As a professional runner, she has raced in the 2008, 2012, and 2016 olympic trials (7th in the 800m in 2012), is a 4x USA 1 mile champion (2012, 2014, 2015, and 2016), and was a finalist for Team USA at the word indoor championships 1500m in 2014.